You know the feeling you get when you’re looking at a room in your home, and see all of the endless styling possibilities that it could hold? It’s simultaneously exciting and intimidating! One of the best ways to style a room is by making it an “all white room”, or give off the illusion of it being all white. A white room is like a fresh canvas waiting to be painted with decor and textures that will bring life to the otherwise stark surroundings. To be able to do this in a balanced way, and have a wonderfully styled room at the end, keep these 3 tips in mind as you decorate with white. You might think that picking a wall shade for an all white room will be the easiest part of the process, however it may be one of the trickiest. With shades offering warm and cool undertones, you need to consider the architecture of the room you are working with to pick the right shade. Specifically pay attention to the natural light of the room so that the shade will balance what is there. Cooler shades of white work well with spaces that have a lot of natural light, and rooms that are artificially lit tend to look too cool, so picking a warmer shade will even it out. Whichever shade you pick, one of the best benefits that come from painting a room white is that it will make it appear bigger, and we can all agree that’s a great thing! While the illusion of an all white room is what you’re going after, you don’t want to take it too literally. Having some decor pieces that break up the monotony of white will add depth and variation to the room, keeping things looking complex and interesting. The best way to strike an appealing balance is to make sixty percent of the room the primary white color. This is made up of the largest surfaces of the room like your walls, ceilings, and floors. Thirty percent of the room should have a more neutral color, with light, muted shades of either earthy or bold colors. If you picked a white with warm undertone, then earthy shades will work best. For whites with a cool undertone, bold colors work best. The last 10% of the room should have the brightest versions of the earthy or bold colors. This could be a piece of artwork, throw pillow, lamp, or vase. When decorating in white, you don’t want to forget to consider the effect your furniture and decor pieces will have on the dynamics and overall feel of the room. The best way to use white furniture is to combine pieces with different, interesting textures. Follow the advice above when picking out the shades of each furniture and decor piece. The key is to create a balanced room with both color and varied textures throughout the space. By following these tips you will soon have a Pinterest worthy all white room to enjoy. 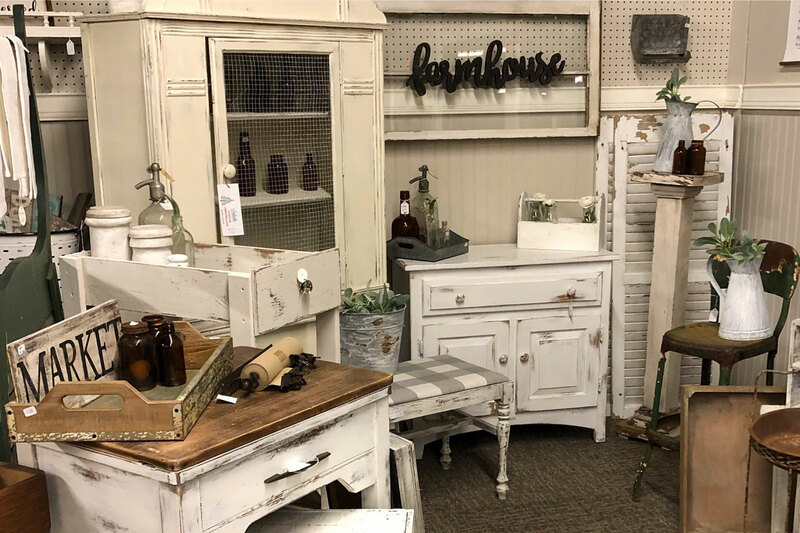 If you would like more additional help in the decorating of your room, we would be more than happy to help at Louisville Mercantile. Don’t hesitate to give us a call!